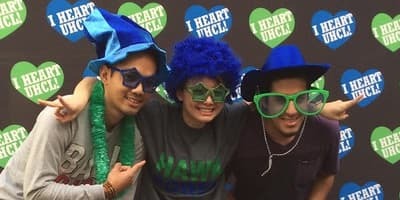 The health and safety of any UHCL student on a Study Abroad program is a primary concern for the Office of International Admissions and Programs. Knowing the answers to the key questions below will be critical to your pre-departure planning as well as the base to having a pleasant and productive time abroad. What does the US State Department recommend regarding travel to this country? What shots or immunizations do you need in order to gain entry into the host country? What is the number one health risk in country? What is the most common safety risk in country? Does your program include a special insurance policy that will cover you while abroad? Who are you going to contact in an emergency? The safety of UHCL students on Study Abroad programs is our chief concern. Unfortunately, there are no guarantees when it comes to safety - not at home, and not abroad – but we can limit the risks. To that end, we strongly encourage that you thoroughly read the safety information we provide, as well as stay aware of current events in the countries in which you will study. 1) Awareness - You should be aware of local news and political events. Read local newspapers and magazines, also keep up with international newspapers and publications. Learn from local residents which areas of town are safe or dangerous and when to avoid certain locations. For example, normally safe areas may become more risky late at night, during soccer games, or political rallies. Determine which means of transportation are safe and secure, and at what time of day. Which is safer late at night: public transportation (buses, subways, etc.) or taxis? This varies from country to country. When traveling from a familiar city to an unfamiliar area, ask for advice and research safe areas before departing. 2) Communication - Uncertainty causes a great deal of anxiety. You should check in regularly with your family and friends by phone or e-mail. For many parents, simply knowing that they can reach you at any time, day or night, reduces anxiety considerably. Cell phones are quite inexpensive in many countries, and many plans do not charge to receive calls. You should inquire with your program provider which cell phone plans are best. The UHCL Office of International Admissions and Programs also asks that you check in with us regularly by e-mail or phone. Notify us if you have a concern about your safety, or just to say that things are fine. We appreciate hearing from students. 3) Cultural Common Sense - Gaining cross-cultural understanding is one of the most important and profound aspects of the Study Abroad experience, and we encourage you to apply your newfound knowledge to preserving your safety. Every culture is different, even if they appear similar. While all cultures value safety and stability, the ways they achieve it may vary considerably. What behaviors, manners or clothing blend in and which demand attention? What are the cultural norms for alcohol in the host country? 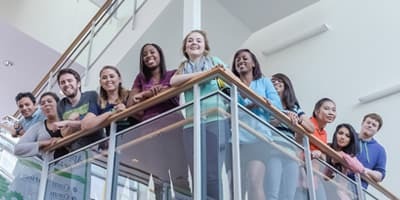 Personal Responsibility - Many people are concerned about your safety and security during your Study Abroad experience – including parents and friends, UHCL, the hosting institution and people responsible for your accommodations. However, no one will be as involved or concerned as you, the student. Ensuring your personal safety and security begins with the decisions you make on a daily basis, including the transportation methods you choose, whom you associate with, when and where you go out, etc. By being aware, employing cultural common sense and making intelligent choices, you can greatly narrow the risks to your own safety. By far, the greatest threat to student safety involves alcohol. Although drinking across cultures is not necessarily as dangerous as drinking and driving, overindulgence in an unfamiliar country can result in negative consequences. In the event you become severely ill or injured – or if you are the victim of a crime – the on-site staff for your Study Abroad program should be contacted immediately. After your immediate needs have been met, telephone the Office of International Admissions and Programs at 281-283-2740 during weekday business hours (Central Time Zone) to report the problem or incident. 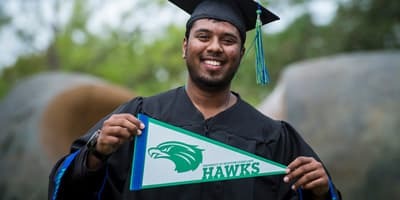 If it is felt that a UHCL official should be contacted outside of weekday business hours, call the UHCL Police Department at 281-283-2222, and the Police Department will get a message to the appropriate UHCL official.